Readers, We Want to Hear From You! Drop Us a Note? I want to introduce myself. My name is Sarah. And I’m the Director of Communications at Open Doors. I want all of our words–in emails or website, newsletter, and magazine stories–to invite readers and supporters like you into deeper connection with our organization, our staff, and persecuted Christians around the world. My hope is that you won’t just visit our website, sign a petition, make a donation, write a letter or pray for a person featured in a story one time. Instead, I hope you see Open Doors as a lifelong friend in helping you grow your faith and serve the needs of our world. Just last week, I learned about a 90 year old Christian woman who first started supporting Open Doors in 1989. Her decades of service touched my heart so much, I sat down to write her an actual letter. I’m determined to find those among you who, like this woman, are as passionate about supporting persecuted Christians as we are. And I hope you, like her, will put a stake in the ground alongside us and commit to making a difference in the area of “persecution” over the course of your life. So, today, I want you to know, we are thankful for you. We are often moved by the ways you–like this woman or like John, the 8 year old boy in this story–seek to improve the life of persecuted believers. And we want to know you, to hear from you, to stay in touch. In the 1950’s Brother Andrew started out on an adventure to go and meet underground believers in closed countries around the world. He took great risks to smuggle Bibles, information, training and other resources to these communities. Today, we at Open Doors still face many of those same risks. And we are still fiercely convinced–just as Brother Andrew was–that our work is worth every ounce of energy we give to it. Every day, we live an adventure of daring and challenge, suffering and hope. And we welcome anyone who is willing to join us in being the Brother Andrews of this generation. If you’ve been touched by the stories of persecuted believers, if you feel connected to the work of Open Doors, if you do things in your home, your church, or your community to learn about or impact persecuted Christians, please feel free to drop me a note using the form below. I can’t tell you how much our team enjoys learning about yet another person who is with us on this powerful journey. 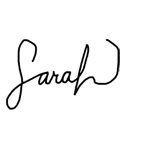 A form where people are invited to share supporter stories with Sarah.